Michelle Nowlin joined the Duke Law faculty in June 2008, as a supervising attorney for the Environmental Law and Policy Clinic. She supervises clinic students from the Law School and the Nicholas School of the Environment and co-teaches the seminar portion of the clinic. Since joining the Clinic faculty in 2008, Nowlin has worked with students on a range of matters, including the development of a precedent-setting settlement with the state of North Carolina to protect endangered sea turtles, filing an amicus curiae brief with the U.S. Supreme Court on behalf of low-wealth communities challenging mountaintop-removal mining practices, collaborating with community partners for innovative approaches to reduce marine debris, and crafting measures to protect children from lead poisoning hazards. She also teaches a course in Food and Agricultural Law and Policy. Nowlin currently serves as chair of the board of advisors for the Duke Campus Farm, as a faculty advisor for the Duke Environmental Law and Policy Forum, and as a member of the Bass Connections Faculty Advisory Council and the Community Advisory Board for the Superfund Research Center. She is a past chair of the American Association of Law School’s Food and Agriculture Law Section, and serves on the AALS’ Environmental Law Section council. She received the University’s Faculty Award for Outstanding Leadership in Sustainability in 2013. Nowlin has dedicated her career to the protection of natural resources and public health through the practice of environmental law. 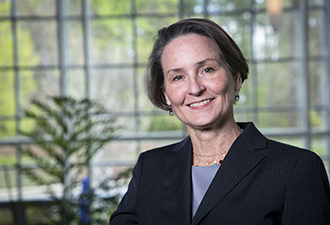 Prior to joining Duke’s faculty, she was a senior attorney with the Southern Environmental Law Center in Chapel Hill where she led the organization’s initiative to develop and implement pollution control programs for Concentrated Animal Feeding Operations, developed a template for integrating water resource and water quality planning, and litigated cases pursuant to the Clean Water Act, Endangered Species Act, and National Environmental Policy Act. For her advocacy work, she was named an Honorary Warden by the North Carolina Audubon Society in 2006, and received the Bill Holman Award for Environmental Advocacy, awarded by the Conservation Council of North Carolina, in 1997. She completed a fellowship awarded by the Ford Foundation and worked in private practice for two years in Washington, D.C., prior to joining SELC. Nowlin is a member of the North Carolina Bar and the D.C. Bar, and is admitted to practice in the state and federal courts of North Carolina, the U.S. Fourth Circuit Court of Appeals, and the U.S. Supreme Court. She has served on the boards of directors of several nonprofit and civic organizations, including a term as chair of the Environment, Energy and Natural Resources Law Section of the North Carolina Bar Association. She was named a Neighborhood Hero by Durham’s Inter-neighborhood Council in 2007, in recognition of her community work. Nowlin earned her B.A. with Highest Honors from the University of Florida, where she was also inducted into Florida Blue Key and Phi Beta Kappa. She earned a dual J.D./M.A. from Duke Law School and the School of the Environment in 1992. Nowlin lives in Durham with her husband and children. Nowlin: Judge overseeing hog nuisance trials "has issued rulings from the bench that favor both sides"
Nowlin: Proposed N.C. Farm Act "deprives people of their fundamental rights and sanctions a taking of property to benefit private industry"